Below you can see an extensive list of airlines that allow name changes and their respective fee structures. If you don’t find your airline here, it doesn’t mean that it will not allow you to sell your flight to somebody else. Even the strictest airlines may make exceptions to their general rules for special circumstances that prevent you from flying. Please note the information below may not be up to date as it could change overnight. Name change fees can vary in structure: some airlines will have them accrue per flight segment/ journey leg, while others will levy just one per booking. "Yes" indicates that the fee for the change will be charged twice for a return flight. "No" indicates that there will be a single fee for a return flight ticket. Fare Difference - "Yes" indicates that the airline will require you to pay the difference in price between the cost of the original flight booked and the cost of the flight at the time the change is made. The airline will not refund you the difference in the price you originally paid if the cost of the flight is lower at the time of the change. For the most up to date information on Aer Lingus's fees and charges, please click here. Name changes are allowed only for the entire trip, i.e., you cannot change the outbound or inbound flight only. The passenger name could be changed online up to 2 hours before the outbound flight’s scheduled departure time. For more information click here. Flight changes are permitted from the same country of origin only. This means that you will be able to modify a flight from London to Rome so it becomes a flight from Manchester to Paris, subject to a fee. Air Arabia allows name changes up to 24 hours prior to the scheduled time of departure. You have to pay the cancellation fee in addition to a name change fee of AED 150 plus any fare difference if applicable. You can find further details here. Air Canada name change fee table. Name changes are allowed only for the entire trip, i.e., you cannot change the outbound or inbound flight only. The passenger name could be changed for online bookings up to 2 hours before the outbound flight’s scheduled departure time. For information about Air Canada flight change fees click here. You can find Air Iceland’s T&Cs here. *For all changes (name or flight) you have to pay the flight difference if any. No refunds will be made if the fare is lower. Name changes are allowed only for the entire trip, i.e., you cannot change the outbound or inbound flight only. The passenger name could be changed online up to 24 hours before the outbound flight’s scheduled departure time. You can change only the date and/or time of the flights. For the most up to date information on airBaltic’s T&Cs, please click here. Name and flight changes are done via cancellation, followed by reissuance of the ticket. See the above chart for the relevant fee. 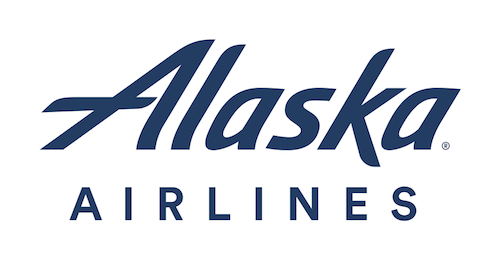 For the most up to date information on Alaska Airlines' fees and charges, please click here. If the ticketed reservation is changed or canceled prior to the ticketed departure time, the value of the nonrefundable ticket may be applied as travel Credit toward the purchase of future travel on Alaska, subject to any applicable change/cancellation fee. Such travel Credit must be requested within the Ticket’s validity period. Credit requests will not be honored after the Ticket’s validity period has expired. For more information go here. Albawings allows name changes up to 24 hours prior to the time of departure of the flight. It costs 80 Euros per passenger. Name changes are only allowed before the outbound flight and they affect all flights under the reservation. You can find details about flight change fees and rules here. You can find Blue Panorama’s FAQs here. For the most up to date information on Blue Air's fees and charges, please click here. Name changes are allowed only for the entire trip, i.e., you cannot change the outbound or inbound flight only. The passenger name could be changed online up to 4 hours before the outbound flight’s scheduled departure time. Blue Air allows changes to the departure and destination airports. This means that you will be able to modify a flight from London to Rome so it becomes a flight from Madrid to Paris, subject to a fee. 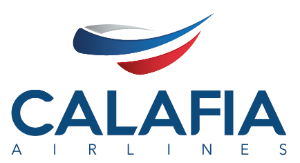 Calafia allows name changes for the fee of $ 858 MXN per passenger. Changes should be made via their toll free phone. You can find further details here. Cebu Pacific allows name changes for a fee that depends on the itinerary. Name changes are not permitted for promo fares or for partially used itineraries. You can search for the fee applicable for your flight here. Citilink allow name changes for the following fees: If the flight ticket class is ≥ H/Class, Rp 300 000 per person, otherwise Rp 500 000 per person. You can find further details about Citilink fees here. For the most up to date information on CityJet's fees and charges, please click here. For the most up to date information on Condor's fees and charges, please click here. Flight changes are allowed only within the same zone category. For the most up to date information on Condor’s T&Cs, please click here. Eastar Jet allows name changes up to 1 hour before departure. It costs KRW 5,000 per person, per one-way flight. You can find further details here. For the most up to date information on EasyJet's fees and charges, please click here. Name changes are allowed only for the entire trip, i.e., you cannot change the outbound or inbound flight only. The passenger name could be changed online up to 2 hours before the outbound flight’s scheduled departure time. EasyJet allows changes to the departure and destination airports. This means that you will be able to modify a flight from London to Rome so it becomes a flight from Madrid to Paris, subject to a fee. For the most up to date information on EasyJet’s T&Cs, please click here. For the most up to date information on Enter Air's fees and charges, please click here. Please note Enter Air does not allow changes to the departure or destination airport. For the most up to date information on Enter Air’s T&Cs, please click here. For the most up to date information on Eurowings's fees and charges, please click here. If your booking has an etix® ticket number, it is not possible to change a name for a Eurowings flight. Name changes are allowed only for the entire trip, i.e., you cannot change the outbound or inbound flight only. The passenger name could be changed online up to 1 hour before the outbound flight’s scheduled departure time. Please note Eurowings does not allow changes to the departure or destination airport. For the most up to date information on Eurowings’s T&Cs, please click here. For the most up to date information on Finnair's fees and charges, please click here. Name changes are not allowed for Basic ticket holders. Finnair allows changes to the departure and destination airports, subject to ticket reissue fee (€50/$25/£30). This means that you will be able to modify a flight from London to Rome so it becomes a flight from Madrid to Paris, subject to a fee. *If you change both the name and the flight (destination and/or date), you will have to pay the change fee only once ($125) plus any fare difference if applicable. For the most up to date information on Flair Airlines' fees and charges, please click here. Name changes are allowed only for the entire trip, i.e., you cannot change the outbound or inbound flight only. The passenger name could be changed online up to 3 hours before the outbound flight’s scheduled departure time. Flair Airlines allows changes to the destination airport. This means that you will be able to modify a flight from Toronto to New York so it becomes a flight from Toronto to Los Angeles, subject to a fee. FlySafair allow you to transfer your flight ticket to somebody else via a name change fee of R300 per person per booking. You can only make a name change before the outbound flight and it applies to the entire trip. You can find further details here. 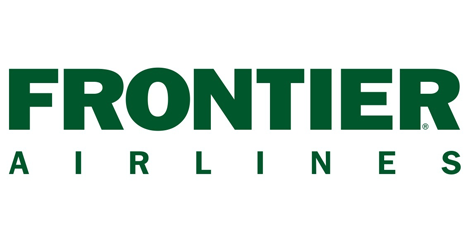 For the most up to date information on Frontier's fees and charges, please click here. Frontier allows changes to the departure and destination airports. This means that you will be able to modify a flight from London to Rome so it becomes a flight from Madrid to Paris, subject to a fee. For the most up to date information on Germania's fees and charges, please click here. Germania does not allow changes to the departure or destination airport. Golden Myanmar Airlines allows name changes for the fee of USD 10 per one-way flight and per passenger. You can find further details about Golden Myanmar Airlines flight change fees here. The fee for flight/name changes for Hawaiian Miles Award Tickets is $30 for flights to Neighbor Islands, and $50 for flights to North America and international destinations. The cost for flight/name changes on Unticketed Domestic itineraries is $30 per ticket plus fare difference if the current price is higher. You can find full information about the Hawaiian Airlines change fee. For the most up to date information on Helvetic's fees and charges, please click here. Helvetic allows changes to the departure and destination airports. This means that you will be able to modify a flight from London to Rome so it becomes a flight from Madrid to Paris, subject to a fee. For the most up to date information on InterJet's fees and charges, please click here. InterJet allows changes to the departure and destination airports. This means that you will be able to modify a flight from London to Rome so it becomes a flight from Madrid to Paris, subject to a fee. Jazeera Airways allows you to transfer your flight ticket via a name change of KD 20 per person, plus any fare difference (if applicable). You can find further details about Jazeera Airways change fees here. Full information about Jet Star’s fees and changes can be found here. The fees apply per passenger per flight. You have to pay the fare difference at the time of change if any. Name changes can be made for an individual passenger on a booking, but must apply to all flights for that passenger. Flight changes are allowed only for date and time (no route changes). For more information on fare rules, please click here. * For changes made through Jet2's call centre, the administration charges are capped at one charge of 35GBP / 51EUR / 54CHF / 1380CZK / 210PLN. Through their call centre, they also permit one name change per booking where they will charge an administration fee only and will not apply the difference in cost between the original flight price and today's price. For the most up to date information on Jet2's fees and charges, please click here. Jet2 does not allow changes to the departure or destination airport. For the most up to date information on Jet2’s T&Cs, please click here. For the most up to date information on TUI fly Belgium's fees and charges, please click here. TUI fly Belgium does not allow changes to the departure or destination airport. Please note JetBlue does not permit name changes. If you will not be traveling and would like someone else to use your ticket, you may cancel your reservation for a per-person fee (depending on your fare - see guidelines above) and the remaining amount will be placed into a JetBlue credit good for one year. JetBlue credits may be used towards a JetBlue Airways booking or JetBlue Getaways vacation package. For more information click here. For all changes, you have to pay the flight difference if any. For Blue Flex reservations there is no charge to change or cancel your reservation prior to departure, the difference in fare only. For the most up to date information on Flybe's fees and charges, please click here. Flybe allows changes to the departure and destination airports. This means that you will be able to modify a flight from London to Rome so it becomes a flight from Madrid to Paris, subject to a fee. Malindo Air allows name changes and the fee depends on your airport location. You can find the fee schedule here. Mango Airlines allow name changes for the fee of R210 per person. 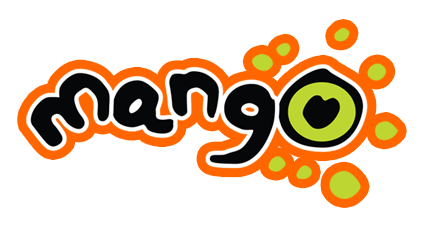 Mango Plus and Mango Flex members can change the name for free. You can find further details here. For Nok Flexi fares there is no change fee and an unlimited number of flight date changes is allowed for 90 days from the first booking date. After 90 days, the above fee applies. For the most up to date information on Nok Air's fees and charges, please click here. Nok Air does not allow changes to the departure or destination airport. NokScoot allows you to transfer your flight ticket to somebody else up to 48 hours before the flight departure. It costs THB 1,800 per one-way flight and per passenger. You can find further details about NokScoot's change fees here. For the most up to date information on Norwegian's fees and charges, please click here. You can change the passenger name for individual flight segments, even after the outbound flight has taken place. The passenger name could be changed online up to 1 hour before the outbound flight’s scheduled departure time. Norwegian allows changes to the departure and destination airports. This means that you will be able to modify a flight from London to Rome so it becomes a flight from Madrid to Paris, subject to a fee. Pobeda allows name changes for the fee of 5,000 roubles per passenger. The change may be done up to 4 hours prior to the scheduled flight departure time via the airline’s call-centre. You can find further details about Pobeda's change fees and rules here. *Customers who have already checked in online but now wish to change a flight date, route or name should contact a reservation centre up to the day prior to their flight departure (subject to opening hours) to have the required flight(s) unchecked. Once the flight(s) have been unchecked the reservation can be changed via Manage Booking. This service is not available at the airport. For the most up to date information on Ryanair's fees and charges, please click here. Ryanair allows changes to the departure and destination airports. This means that you will be able to modify a flight from London to Rome so it becomes a flight from Madrid to Paris, subject to a fee. For the most up to date information on SAS's fees and charges, please click here. SAS allows changes to the departure and destination airports. This means that you will be able to modify a flight from London to Rome so it becomes a flight from Madrid to Paris, subject to a fee. Scoot offers name and flight changes (date and time only). You have to pay the flight difference if any (no refund if lower). Fees are per passenger, per flight. Name/Flight change fee: $60SGD or $60AUD or 300CNY or 40 EUR or 350 HKD or 5,000 JPY or 50,000 KRW. Name/Flight change fee: $90SGD or $90AUD or 450CNY or 60 EUR or 550 HKD or 7,500 JPY or 75,000 KRW. You can check if the above fees are up to date here. For the most up to date information on Southern Airways Express's fees and charges, please click here. Name changes are allowed only for the entire trip, i.e., you cannot change the outbound or inbound flight only. The passenger name could be changed online up to 5 days before the outbound flight’s scheduled departure time. Southern Airways Express allows changes to the departure and destination airports. This means that you will be able to modify a flight from New York to Washington so it becomes a flight from Boston to Chicago, subject to a fee. *At the time of change or cancellation, customers will be given a voucher for the amount of their ticket/package less the applicable change fees. Vouchers are good for one year from the date of voucher issuance. For flight only bookings, tickets are non-refundable and name changes are not allowed. For the most up to date information on Sun Country's fees and charges, please click here. Name changes are allowed only for the entire trip, i.e., you cannot change the outbound or inbound flight only. The passenger name could be changed online up to 7 days before the outbound flight’s scheduled departure time. Sun Country allows changes to the departure and destination airports. This means that you will be able to modify a flight from London to Rome so it becomes a flight from Madrid to Paris, subject to a fee. For the most up to date information on Thai Smile's fees and charges, please click here. 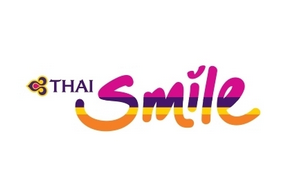 Thai Smile allows changes to the departure and destination airports to Smile Flexi and Smile Plus ticket holders only. This means that you will be able to modify a flight from London to Rome so it becomes a flight from Madrid to Paris, subject to a fee. For the most up to date information on Thomas Cook's fees and charges, please click here. Name changes are allowed only for the entire trip, i.e., you cannot change the outbound or inbound flight only. The passenger name could be changed online up to 25/80 hours (flights shorter than 7 hours/flights longer than 7 hours) before the outbound flight’s scheduled departure time. Thomas Cook allows changes to the departure and destination airports. This means that you will be able to modify a flight from London to Rome so it becomes a flight from Madrid to Paris, subject to a fee. For the most up to date information on Thomas Cook’s T&Cs, please click here. For the most up to date information on Thomson Airways's fees and charges, please click here. Name changes are allowed only for the entire trip, i.e., you cannot change the outbound or inbound flight only. The passenger name could be changed online up to 14 days before the outbound flight’s scheduled departure time. Thomson Airways allows changes to the departure and destination airports. This means that you will be able to modify a flight from London to Rome so it becomes a flight from Madrid to Paris, subject to a fee. *All fees are per passenger, per sector. For more information for fees in Australia, please click here. *All fees are per passenger, per sector. For more information for fees in Singapore, please click here. 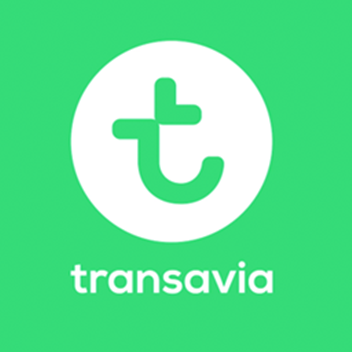 For the most up to date information on Transavia's fees and charges, please click here. Name changes are not allowed if you have checked in already. Transavia allows changes to the departure and destination airports. This means that you will be able to modify a flight from London to Rome so it becomes a flight from Madrid to Paris, subject to a fee. For the most up to date information on TUI fly's fees and charges, please click here. TUI fly allows changes to the departure and destination airports. This means that you will be able to modify a flight from London to Rome so it becomes a flight from Madrid to Paris, subject to a fee. Via Air allows name changes for the fee of $100 per one-way flight plus fare difference (if applicable). You can see further details regarding Via Air's change fees here. Please note name changes are applicable only for the whole journey. The name must be changed before the first leg of the journey takes place. Name changes are not allowed for promo tickets. For more information on fees, please click here. VietJet Air’s T&Cs can be found here. Viva Air allows name changes for the fee of USD 5.00 per journey and per passenger. You can find further details about Viva Air's change fees here. For the most up to date information on VivaAerobus's fees and charges, please click here. VivaAerobus allows changes to the departure and destination airports. This means that you will be able to modify a flight from London to Rome so it becomes a flight from Madrid to Paris, subject to a fee. Route changes may be performed through the Call Center or VivaTiendas. If you have added the Business or Complete Package during the booking process, you can do one name change with no additional fee. For the most up to date information on Volaris's fees and charges, please click here. A name change is not allowed if you have already checked-in. Volaris allows changes to the departure and destination airports. This means that you will be able to modify a flight from London to Rome so it becomes a flight from Madrid to Paris, subject to a fee. For the most up to date information on Volaris’s fees, please click here. For the most up to date information on Volotea's fees and charges, please click here. Volotea allows changes to the departure and destination airports. This means that you will be able to modify a flight from London to Rome so it becomes a flight from Madrid to Paris, subject to a fee. For the most up to date information on Volotea’s T&Cs, please click here. For the most up to date information on Vueling's fees and charges, please click here. Vueling does not allow changes to the departure or destination airport. For the most up to date information on Wizz Air's fees and charges, please click here. A name change does not appear to be allowed online for the leading passenger if booked with Wizz Discount Club Membership. Please check before you post the flight. Name changes are allowed only for the entire trip, i.e., you cannot change the outbound or inbound flight only. The passenger name could be changed online up to 3 hours before the outbound flight’s scheduled departure time. Wizz Air allows changes to the departure and destination airports. This means that you will be able to modify a flight from London to Rome so it becomes a flight from Madrid to Paris, subject to a fee. For the most up to date information on WestJet's fees and charges, please click here. WestJet allows changes to the departure and destination airports. This means that you will be able to modify a flight from London to Rome so it becomes a flight from Madrid to Paris, subject to a fee. For the most up to date information on WestJet’s T&Cs, please click here. 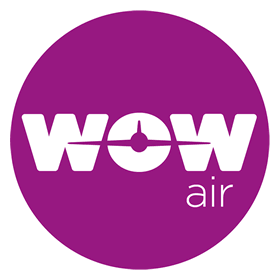 For the most up to date information on WOW air's fees and charges, please click here. Name changes are allowed only for the entire trip, i.e., you cannot change the outbound or inbound flight only. The passenger name could be changed online up to 24/72 hours (the latter applies to flights to/from USA) before the outbound flight’s scheduled departure time. Please note WOW air does not allow changes to the departure airport. You cannot change the destination airport online: you should contact WOW air's customer service centre.